As we make final preparations (and get pumped up) for the upcoming Columbus and Detroit Startup Weeks, it’s a good time to shine the light on the benefits one centralized space brings. The hub of Startup Week activity is Chase Basecamp. This centralized work hub serves as ground zero for dozens of panel discussions, fireside chats, workshops, mentor sessions, happy hours and enough coffee to keep a small army alert and awake for days. 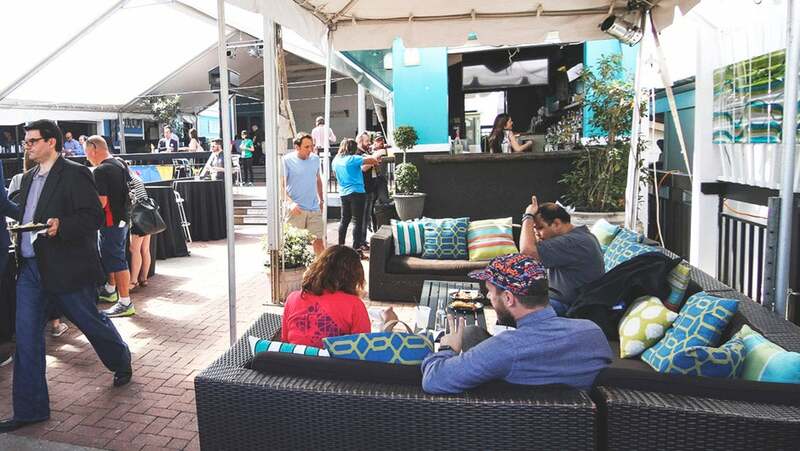 While many numerous invaluable connections are made just by attending these kinds of big events, having this kind of centralized space is necessary to optimize the experience for attendees. Having this centralized work hub helps to create a sense of community and consistency throughout the many little events, activities, and discussions that occur throughout the entirety of the overall event. These kinds of spaces offer both the activity and energy to inspire, along with lounge and co-working space to unwind and catch up on work. Best of all, it creates opportunities to connect with others in the community in meaningful ways. At Startup Week, Chase Basecamp hosts mini-mentor sessions with members of each city’s business community. These mentors are usually experienced business executives, successful founders, long-time designers/developers, or service providers. They generously volunteer their time and talent to meet with attendees and offer sage advice for businesses at any stage. Having a centralized hub like this at big events guarantees that there will be a place where industry veterans can interact with those new to the field – a dedicated space where people can set out to form new connections, with the hope of creating mentor-mentee relationships. And, eventually, these relationships could have the potential to eventually span both work and personal lives. At Tampa Bay Startup Week, one attendee shared that this one-on-one mentor time was one of the most valuable moments for her and that she had already scheduled another time to meet with her mentor after Startup Week concluded to continue their conversation. This kind of momentum is powerful, and proves the importance of these kinds of hubs. A centralized hub provides an even playing field for connection among the members of the local startup community. It’s not uncommon to see experienced, serial entrepreneurs who’ve had successful exits chatting with to soon-to-be entrepreneurs who just have an idea. Christina Christian is the Startup Week Program Coordinator at Techstars.